Fortunately, Sims found nothing but support on the field and in the classroom. 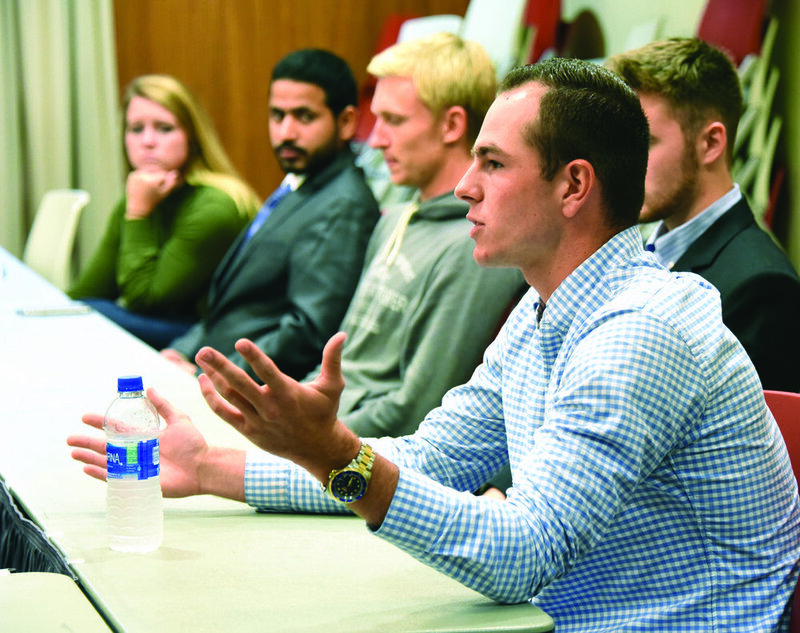 Whether dealing with personal issues or trying to find the motivation to tackle class projects, his teammates, classmates, coaches, and professors held him up. Although he was concerned, he’d hoped his mom would be admitted and released the next day. Instead, doctors found a mass on her lung. She had stage 3 lung cancer. She was a smoker, but she was young. Sims wasn’t sure what that would mean going forward, but he knew he needed to be with her every step of the way. Sims traveled to Middletown to be with his mom during doctor’s appointments, treatments, surgeries, and recoveries. Last fall, they received good news that his mom’s tumor had reduced in size and could be surgically removed. The surgery did remove the tumor, but also required removing part of her lung. It was a difficult recovery. Over winter break last year, he worked to help his mom navigate life with an oxygen tank and build her endurance. With his final semester approaching, he is focused on a career in finance. He completed an internship with Polaris Advisers over the summer and is working with the Career, Mentoring, and Professional Development Center to secure a local position in his field.